THE GIGABIT ETHERNET I/O INTERFACE WITH INTELLIGENT PoE DETECTION AND PASS THROUGH! Check out our latest RF isolated I/O interface! 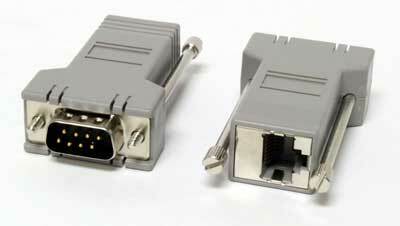 Our STEGBE4590 Ethernet & PoE Interface provides you an incredible 90 dB from the 700 MHz 4G LTE bands to >90 dB! But it only starts there. The built-in smart PoE system automatically detects 802.3af/at protocols, identifies them for you, and passes it on to your powered DUT… or vice versa. And providing 8 independent data lines with >90 dB isolation, it can be used for a host of custom I/O applications, including data, DC, or any combination thereof! If you need a truly transparent I/O between your DUT and your bench, the STEGBE4590 is it! Starting with our digital HDMI 4K video interface design, the STEUSB311 provides >90dB RF Isolation from 500MHz to 8GHz. Even covers the new T-Mobile 622Mhz Band-71 LTE service! Also auto-detects and indicates DCP high current charging mode when the device calls for it. Mounts in our same single 1” hole mount as our USB2.0 units for field upgrade purposes. 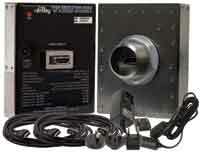 Includes universal power supply and two double shielded USB3 A/B cables, and mounting hardware. 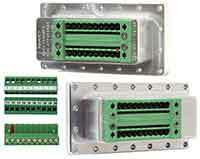 THE ULTIMATE USB2.0 HIGH SPEED I/O INTERFACE FOR YOUR SHIELDED ENVIRONMENT! Looking for a high speed USB2.0 I/O for your new STE RF Enclosure, or to upgrade your existing STE Enclosure, or as a retrofit to your existing screen room or competitive enclosure? We've got you covered, with our new STEUSB2071 High Speed I/O Filtered Interface! Incredible performance down to the 700 MHz LTE bands all the way up to 6 GHz, simple 100% isolated and shielded single hole mount for easy retrofit and upgrades, auto-detect and display of USB power, and a whole lot more! 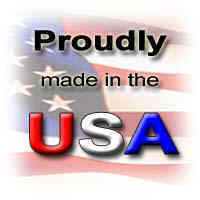 Check it out... it simply doesn't get any better! 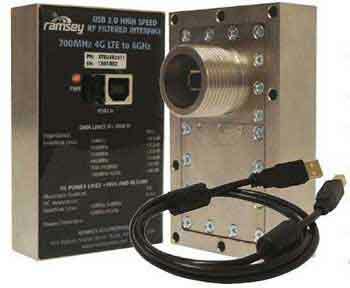 The impossible RF Test Enclosure I/O is now made possible by Ramsey Electronics®! Our STEHR140 interface provides a very compact HDMI I/O option that passes 4K video up to 2160p while maintain an RF isolation greater than 85dB from the low 600MHz bands all the way up to 8GHz! Like our USB and Ethernet interfaces, the 4K video interface maintains 100% shielding with its easy to install single-hole mount. The STEHDMI2 is our latest 100% shielded HDMI A to A receptacle that is transparent to all 19 pins for compatibility up to V2.1. 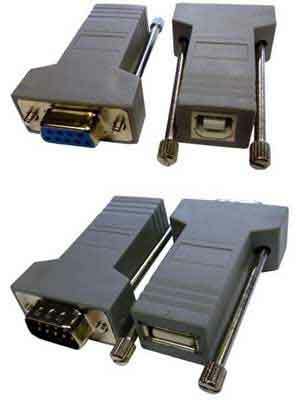 It’s single hole RF gasketed mounting makes it easy to install and utilizes the same mounting form factors making it easy to upgrade to our digital >90 dB RF isolated HDMI interface as needed. PASS 20 LINES OF WHATEVER YOU HAVE, 90DB ISOLATION!